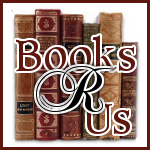 I would like to welcome Heather Huffman to Books R Us. Heather is the author of Roses in Ecuador a romantic suspense novel. Thanks for stopping by. I’ve always been a writer; I just didn’t know it. For as long as I can remember, I’ve loved the written word, but I didn’t consider seriously pursuing publication until my early thirties. I learned a few lessons on my path to becoming a writer. Whenever I’m asked to share advice with a new writer, my response is the same: The most important thing you can do is write. Finish the book. I know too many people who have been working on the same novel for five or six years. Make time to write on a regular basis, even if you don't feel inspired. I've often sat down feeling completely blah and surprised myself with what I was able to turn out. When you finish your book, find someone you trust to give you honest feedback on it. The first person I shared Tumbleweed with was cruel with her feedback; I almost stopped writing. After I finished licking my wounds, I made some changes and shared it with a coworker I respected and trusted. Her feedback was kind but honest and it helped me make it a better book. There were actually two coworkers, the inspiration behind Kate’s colleagues in Ties That Bind, whose feedback and encouragement made all the difference. I know I wouldn't have become a published author without them. If they had just said "yep, it's great" I wouldn't have gotten any better. But their approach made a huge difference because no matter how many books you write, it's always tough to share them. A piece of you is in it; it hurts when the book is rejected! To that end, know now that your book will be rejected before it's accepted. When I first started getting rejection letters and they were form letters, I knew the book must not have been ready to send. I worked on the books some more then submitted again. That round I got personalized letters telling me why it was rejected, so I knew I was getting closer. I took their advice, worked on the book some more, then submitted again. That time I got personal conversations. I was told the writing was beautiful, but they didn't know how to market my books. One agent in particular told me that if I'd write to a formula, she could give me an amazing career as a writer. I chose to stick with my books, the ones I wanted to write. I went indie with them and my publisher found me - once I'd proven there was a market for my novels. I also tell aspiring authors to learn all they can about the market. There are a few different paths to publication now - traditional, small publishers and indie, but that’s an entire conversation by itself. If you’re willing to work hard, it's a great time to be a writer! Unknown to each other, they escaped to the heart of Ecuador to make the world a better place, having sworn off the possibility of love... until disaster brings them together. Jane Russell is certain she's had enough heartbreak for one lifetime, and love is the last thing on her mind when she arrives in Ecuador to study the cats on the local jaguar preservation. Devon McAllister, the wealthy and handsome son of a well-known corporate mogul, has broken his share of hearts, but he found a new purpose in life when he opened a fair trade rose plantation in Ecuador. When the jaguar preservation comes under attack by what appears to be a group of angry locals, Jane's search for the missing animals leads her to Devon's backyard. As they sort through the destruction, an unexpected visit by a charming yet secretive U.S. senator reveals the identity and motives of the attackers to be much more sinister than she could have ever imagined. Through it all, Jane finds her desire for Devon growing ever stronger. But will she ever be able to trust him enough to truly love? It would take me forever to write a book! Great book review! Sorry I don't read much unless it's regarding Mythology or Fables. It puts me to sleep. I did write a book once, but it just sits in my drawer. I can't read much at a time right now because for some reason I get an upset stomach when I read for very long, and glasses hasn't helped with it yet. So I like to find books on CD but it is hard to find the new ones on CD. I am a pretty good writer however I never thought about writing a book, but if I would decide to I guess I better be ready to take criticism well. Would rather write good reviews like this one.